How To Become A Commercial Diver! There are 4000 commercial Divers working offshore at any one time, in this post we at CDA hope to explain how you can become certified as a commercial diver. Commercial divers work in a huge range of industries, with one thing in common the core work is performed below the surface of the water or sub-sea. Surface Supplied Breathing Apparatus Divers (SSBA). The type of diver you want to be, can and almost certainly will affect the pathway to becoming a commercial diver. That said there are five key steps that you need to know to become commercially certified. This article will extensively cover how you can go from zero to hero and become a commercial diver. Step One: Know what type of diver that you want to be. perhaps you want to work on a fish farm, maybe you want to be an underwater welder, or maybe you want to want to work in salvage. The path way for each type of diver can be different, and so it is important to know what your long term goals are. 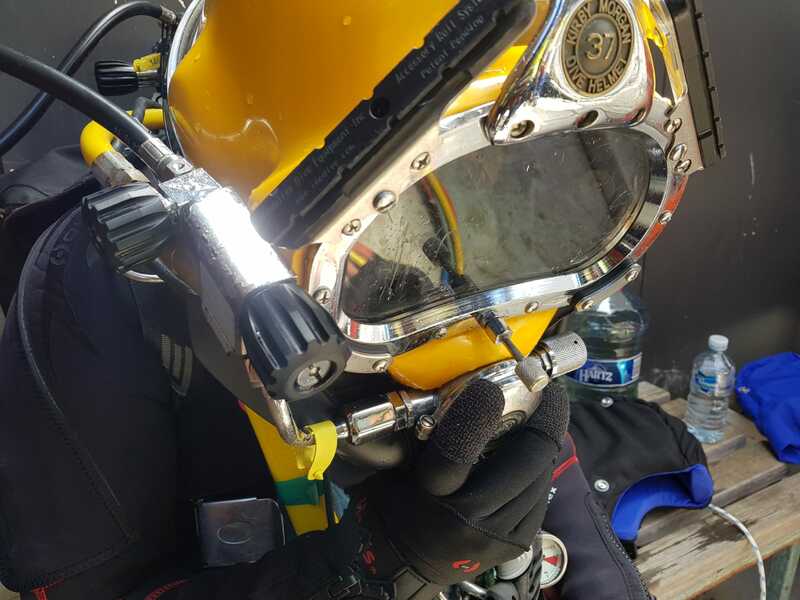 An Aquarium diver has vastly different training requirements and in field skills needed to perform there job than an offshore welder or saturation diver. There are a lot of diving certifications out there, ADAS, INPP, ADCI, IMCA, DCBD, HSE and more. However they are not all equal, some certificates are not internationally recognised and are only eligible in there local region, others are recognised in most countries in the world, make sure you choose a certificate that will allow you to work where you want, and where you may want to go in the future. The reality is, there are a lot of Commercial Diving courses out there, We will cover the courses you can do, to perfectly meet your training needs. Be it Scuba, SSBA or beyond. Step Five: Meet the pre-requisites of the course. Each course around the world will have different pre – requisites to engage in there training. you must know what these are and accomplish them before starting your course. Step Six: Have fun doing it. At the end of the day, we all become Commercial Divers because it is an industry that pays exceptionally well. We might as well remember to enjoy the ocean and its many jobs whilst doing it. Learn about the many commercial Dive Academy Courses on offer here. Learn about the Commercial Dive Academy and our vision here. What type of commercial Diver do you want to be? Before you make the plunge and commit to becoming a commercial diver. you need to reflect on yourself and the career you would like to have. This will help you understand what type of diver you want to be, or in other words, what is it that diving will help you achieve. Do you want to work offshore? Live underwater in saturation? Work on oil rigs? Or be a scientific researcher? A Scientific researcher, is likely a scientist first and a diver second, as such he likely does not need to consider wet-bell training. To the right, is five different common diving careers. Later we will discuss the certifications each diver will need to hold at a minimum and what we at CDA recommend. A scientific diver is a diver whose main focus is likely research. these divers are usually scientists first and divers second, who use diving as a means to complete there field work. An Aquaculture diver is a diver who supports the production of farmed marine species such as Salmon, or Tuna. An Aquaculture diver is usually responsible for ensuring the integrity of the nets and well being of the aquatic organisms. An onshore construction diver is a diver who works inland up to maximum depths of around 50 meters. These divers do a huge range of tasks and can have diverse work portfolios. The usual work load includes any work that involves construction activities. Think: Assembly, demolishing, installation, clean, repair, photograph, maintain or salvage. An offshore diver is a trained commercial diver who usually works in support of the exploration and production sector of the Oil and Gas industry. These divers are employed to undertake construction, inspection and maintenance tasks on offshore vessels, such as oil rigs and sub-sea pipelines. What level of diver training do i need? Once you have worked out your diving goal and decided on the lifestyle and career you are after, the pathway to becoming certified as a commercial diver becomes much easier. This is because, each diving career has different minimum requirements that must be met in order to be eligible to work. Around the world most Commercial Diving training facilities will focus on at least one of two different types of Diving. The third level (Closed Bell) is only offered at this time by two diving academies in the world. The Commercial Dive Academy in Tasmania and The National Institute of Professional Diving in France. These schools are the only facilities in there respective hemispheres to offer saturation training. When should i do scuba training? Commercial Scuba Dive Training is generally a pre requisite of all the higher levels and so in most circumstances must be completed to work as a commercial diver. For example to become a certified ADAS SSBA to 30 M (ADAS part two) diver you must hold your ADAS Occupational Scuba to 30m (ADAS part one) certification. Professional Scuba training can, in some circumstances be all the training you need. Some industries require divers to only be trained in Scuba as this is all that is required within the scope of work. Individuals this applies to is Aquarium and Zoo divers as well as a lot of scientific divers. In a way if your job requires commercial dive training, yet is not dive focused it is potentially possible that this may be all the training you need. To confirm that this is true for yourself you should talk to us, or another internationally accepted training organisation as well as your employers to ensure that you only need your Commercial Scuba ticket. Professional Scuba Training should not be confused for Recreational scuba training which is a pre-requisite for most Scuba certifications. No recreational ticket is accepted by the International Marine Contractors Assosciation (IMCA). When should i do SSBA (AIR) training? Commercial Air Dive Training or Surface Supplied Breathing Apparatus (SSBA) is the most in demand diving qualification you can hold. Air diving certifications allow you to work in most construction activities onshore and offshore (depending on the level of air diving certificate you hold). For nearly all those wanting to become a commercial diver, it is mandatory to hold an air diving certificate as these allow you to work with various tools and depths potentially up to 50 metres. Within the ADAS certification framework there are two levels of Air Diver. SSBA to 30 M (ADAS Part Two) introduces the commercial diver in the usage of SSBA as the basis for underwater construction activities, this course would be done by all divers wanting to work in construction on shore. how ever it is limited in that it can only be used up to 30 M and is not accepted at all offshore. SSBA to 50 M (ADAS Part Three) is the next progressive step of the air diving certification and allows the diver to work offshore, from a wetbell, and use and operate a decompression chamber. For most Commercial Divers an ADAS Air certification is the training to strive for, the only question is where should i do the training? What certification should i get? and what level of air diving do i train too? What certification Should i get? HSE? ADAS? There are alot of possible dive certifications you can choose between, some are recongised only in specific countries, and some, such as ADAS or HSE are recognised internationally. The most important part of choosing your certification is to choose an internationally recognised, IMCA approved certification. There will be more information on certifications as this page is updated in the future. Ok Great. You now know what level of dive training you want to receive, but what do you need to accomplish before training can begin? to the right are the most common pre-requisites that commercial Dive certifications require you to have attained before joining there course. Please note, you must be at least 18 years of age to be eligible for most Commercial Dive courses including ADAS. for ADAS and IMCA courses you will need to demonstrate that you have reasonable diving abilities before the course, this will mean you need to hold a recreational diver certificate and around 10 logged dives at a minimum. Knowing that you are looking at an industry that is based on working in the water, it is expected you have the ability to swim. For ADAS you need to demonstrate you can swim 200 Metres un assisted and tread water for 10 minutes. Other certifications may have different requirements.